Thursdays are typically pool day during the summer and because today was the first "summer pool day" I pulled out a color wheel of Jello (Sandy, does this count as a Total Color Tuesday addition?) and went to work on Nine Layer Finger Jello. It takes forever to make but the end result is so tasty and looks pretty good too. 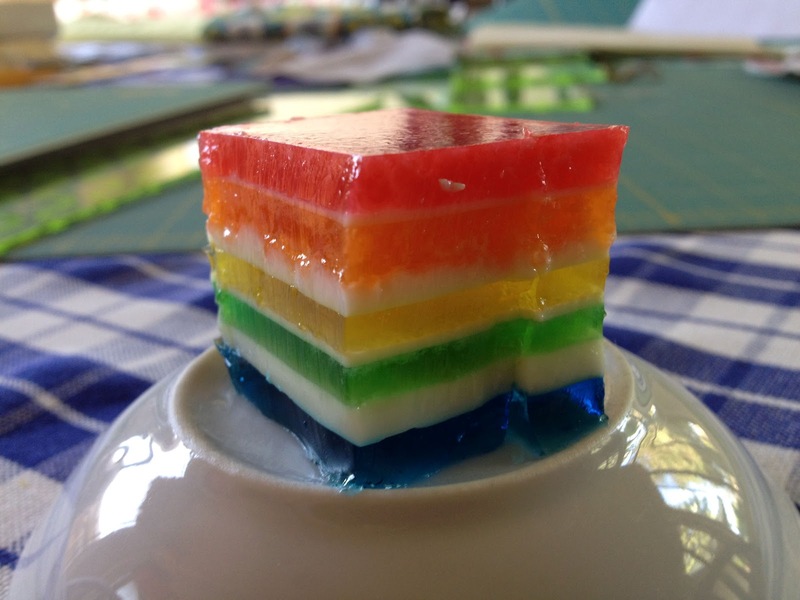 The Jello layers are made like Jello jigglers with less water and unflavored gelatin added. The white layers are sweetened condensed milk mixed with unflavored gelatin and water. A cute flower print and a new skirt pattern that I couldn't resist. 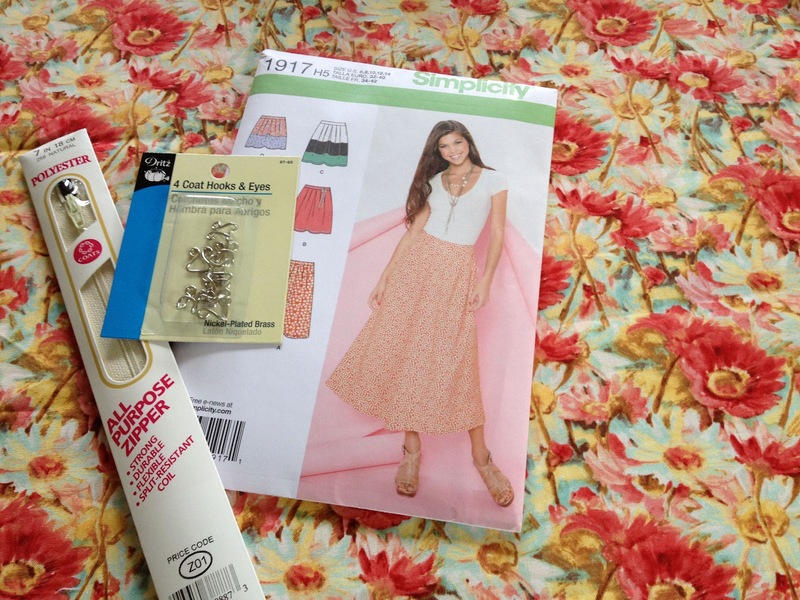 The perfect 75 degree sunny afternoons we've been enjoying are encouraging me to make a new skirt for myself. In between the orange and red layer of the Nine Layer Finger Jello I had the great pleasure and honor of introducing a lovely 12 year old neighbor gal of mine to quilting. Her mother had asked me a few weeks back if I would be interested in teaching her daughter about quilting/to quilt and of course I could not refuse. We spent an hour just having fun: I showed her what I was currently working on, my supplies, fabric and then gave her some basics on how to use a rotary cutter. The last part of her introduction was online - it was fun to show her my own blog but also share with her many of the wonderful quilting blogs I follow. I even assigned a bit of homework - checking out blogs. At the end of our visit we brainstormed a field trip to a local quilt shop to enable her to pick out fabrics to start on her own quilt. I so enjoyed our visit and look forward to our field trip soon. I'm off to find my cleats and soccer ball and head to the soccer field. Perhaps I'll score a goal tonight. 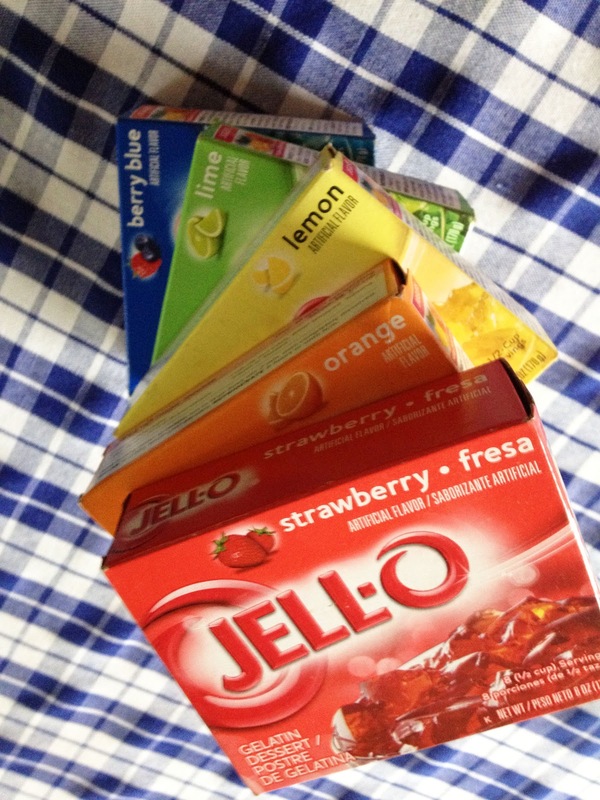 The jello looks so refreshing! I should share my favorite cherry jello salad for this T@tT. A little late for salad week, but oh well. Have a blast at soccer! oh that finger jello takes me back a few years! Very fun! And I love that you have a quilting student - awesome! You sound so happy in this post. I am happy for you. 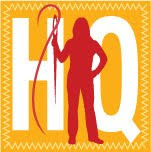 I wouldn't mind coming for that quilting lesson myself even though I can quilt - it sounds like fun!